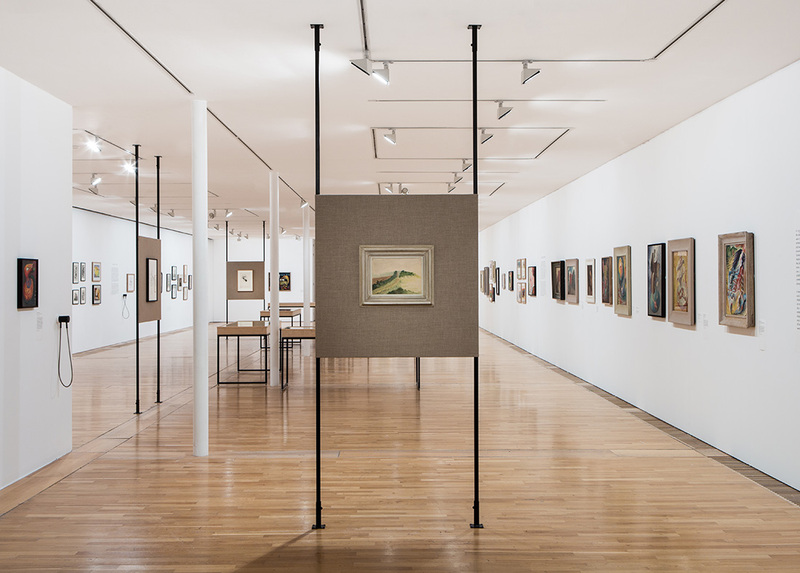 A Tale of Mother’s Bones: Grace Pailthorpe, Reuben Mednikoff and the Birth of Psychorealism was an exhibition of over 100 works, combining paintings, drawings and autobiographical ephemera with in-depth psychoanalytic interpretation. The artists, referred to by Tate ETC as “the oddest couple”, spent decades of their lives researching developing a creative process that combined surrealism with psychoanalysis, bringing artistic and scientific thinking together. At the end of their lives, the couple owned an antiques shop in the nearby village of Battle and lived just outside Bexhill in Ninfield. Their first UK exhibition for over 20 years, A Tale of Mother’s Bones provoked much response from visitors and critics alike. Many people said they would visit again to take in the works more fully and we had a surprising number of local people telling us that they knew the artists or thought that their parents did. A guest came to the exhibition for the second time, she really likes it. She said it was very good to see this dark/controversial show in quiet Bexhill. A man came in whose uncle was Reuben Mednikoff and wanted to see his work! Lots of last-minute visitors in the gallery. To sum up this exhibition we have had nothing but positive feedback and it has been a pleasure to work in. 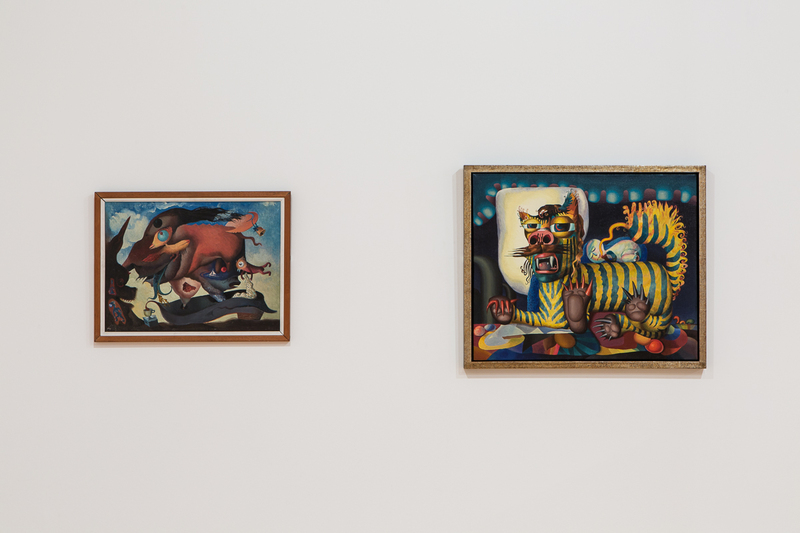 Mark Brown, The Guardian: Surrealist exhibition celebrates creators of ‘goofiest’ paintings in London. Matther Kerr, Apollo Magazine: Psychorealism by the sea with Grace Pailthorpe and Reuben Mednikoff. 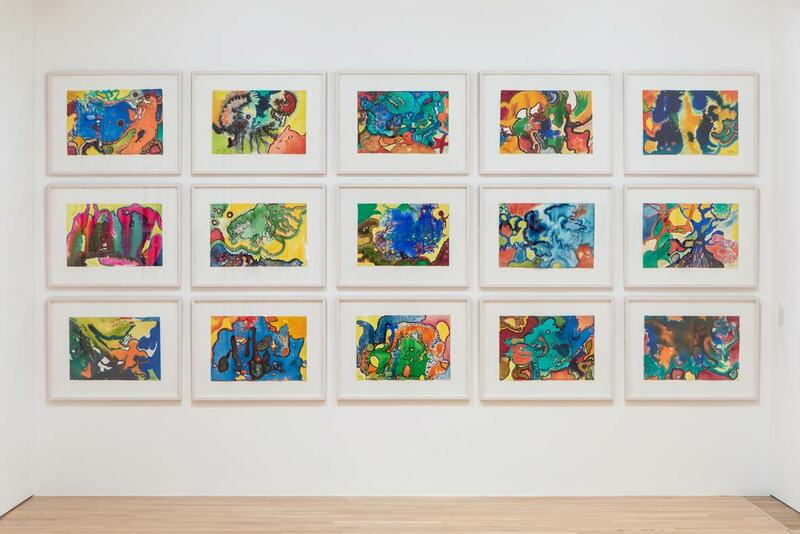 Ellen De Wachter, Frieze: Friends, Possibly Loves: Two Shows Journey Through Artistic Collaboration in the Modern Era. Philomena Epps, Art-Agenda: “A Tale of Mother’s Bones: Grace Pailthorpe, Reuben Mednikoff and the Birth of Psychorealism” and Lucy Beech’s “Reproductive Exile”. We invited toddlers to attend early years activities at the De La Warr Pavilion to respond to the exhibition. Listen to their personal responses to A Tale of Mother’s Bones on our Soundcloud. On 11 January, we held our first symposium of 2019 called Virus of Hate; Responses to Fascism, Psychoanalysis, Surrealism and Modernism in partnership with the Centre of Modernist Studies at University of Sussex. Click here for a review . If you missed this exhibition at the Pavilion, you can see it at Camden Arts Centre, London from 12 April – 23 June 2019. There will be a catalogue about the exhibitions published in April 2019 and available from our shop. Please email james.cosens@dlwp.com if you would be interested in purchasing a copy and we will send you further details on an email nearer the time. Click here visit our archive and see how we accompanied the exhibition with different talks, events and workshops.